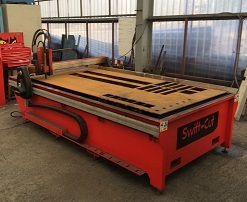 Alfa use 3 hypertherm plasma cutting units. We offer both free-hand and CNC controlled capabilities. We can cut mild steel, stainless steel and aluminium.